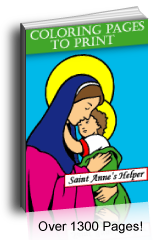 This is one of my favorite printable Catholic Christmas cards. It shows Our Lady holding the Infant Jesus. She has a blue veil and maroon dress while he has a white tunic. This is also a nice Our Lady of Mount Carmel greeting card as she is holding a scapular. Great for feasts of Our Lady. Prints 8.5x11" PDF single side. Print this Madonna and Child Catholic Christmas card here. 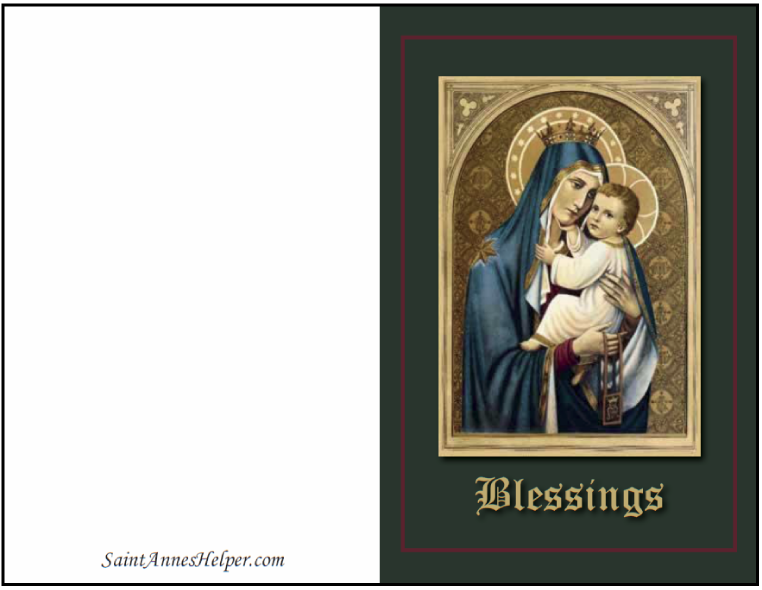 See a dozen different printable religious angel and Christmas cards here. And more than fifteen printable Christmas coloring pages here.